Say ‘congratulations’ with style: good chocolate and perfectly paired bubbly in a chic gift hamper. 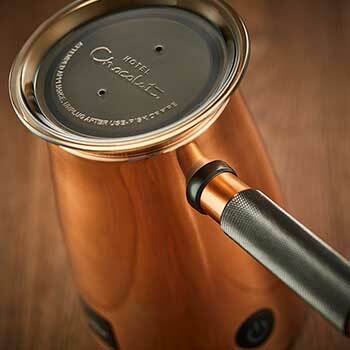 It wouldn’t be a celebration without good chocolate and the pop of a cork! Congratulate them on a job well done with first-rate Venetian bubbles, chosen especially to complement some of our finest mellow and delicately tipsy recipes. 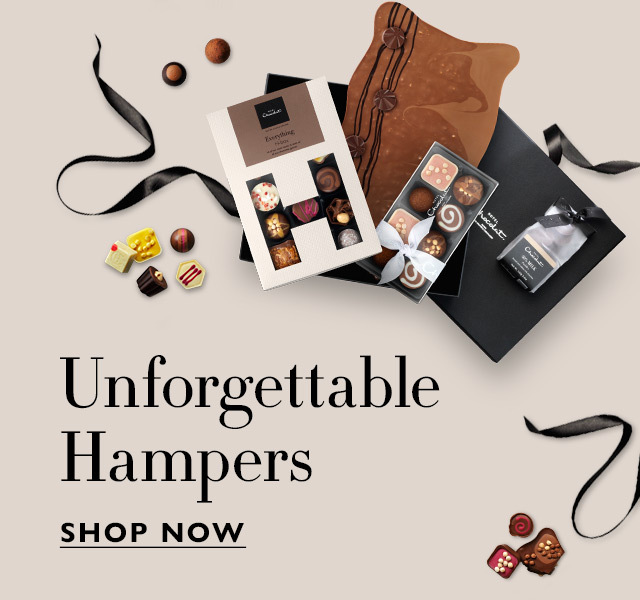 Their Prosecco and chocolate gift set is presented in a manner worthy of their great achievement: our chic black, ribbon-tied gift hamper that’s an event in itself to open. Ingredients: cocoa solids (cocoa butter, cocoa mass), sugar, full cream MILK powder, stabilisers (sorbitol, glycerol), icing sugar, butter oil (from MILK), HAZELNUT paste, sweetened hazelnut paste (HAZELNUTS, sugar, emulsifier (sunflower lecithin)), whipping cream (cream (from MILK), stabiliser (carrageenan)), glucose syrup, skimmed MILK powder, vegetable oils (palm, rapeseed), caramel (glucose fructose syrup, sweetened condensed MILK, half salted butter (from MILK), sugar, salt, emulsifier (SOYA lecithin), water), neutral alcohol, freeze dried strawberry powder, invert sugar syrup, sticky toffee sauce (sugar, cream (from MILK), butter (from MILK), flavourings), champagne (SULPHITES), PECAN NUT paste, florentines (ALMOND NUTS, sugar, butter (from MILK), glucose syrup, honey, cream (from MILK), HAZELNUTS), pistachio paste (PISTACHIO NUTS, rapeseed oil), fruit juice concentrates (strawberry, carrot), PEANUT paste, emulsifiers (SOYA lecithin, sunflower lecithin), MILK fat, caramelised sugar (sugar, glucose syrup), HAZELNUTS, dextrose, nibbed PECAN NUTS, WALNUT paste (WALNUTS, sunflower oil, citrus fibre, emulsifier (SOYA lecithin)), desiccated coconut, sunflower oil, ALMOND NUTS paste, caramelised sugar, organic cocoa powder, flavourings, natural colours (beetroot, carotene, paprika, annatto), acidity regulator (citric acid), cinnamon paste (glucose syrup, cinnamon, water, plain caramel, essential oil (cinnamon)), ground cinnamon, sea salt, ground nutmeg, vanilla seeds, concentrate of spirulina.